For a Muse of Fire by Heidi Heilig (proof) - A young woman with a dangerous power she barely understands. A smuggler with secrets of his own. A country torn between a merciless colonial army, a terrifying tyrant, and a feared rebel leader. The first book in a new trilogy from the acclaimed Heidi Heilig blends traditional storytelling with ephemera for a lush, page-turning tale of escape and rebellion. For a Muse of Fire will captivate fans of Sabaa Tahir, Leigh Bardugo, and Renée Ahdieh. Jetta’s family is famed as the most talented troupe of shadow players in the land. With Jetta behind the scrim, their puppets seem to move without string or stick—a trade secret, they say. In truth, Jetta can see the souls of the recently departed and bind them to the puppets with her blood. But the old ways are forbidden ever since the colonial army conquered their country, so Jetta must never show, never tell. Her skill and fame are her family’s way to earn a spot aboard the royal ship to Aquitan, where shadow plays are the latest rage, and where rumor has it the Mad King has a spring that cures his ills. Because seeing spirits is not the only thing that plagues Jetta. But as rebellion seethes and as Jetta meets a young smuggler, she will face truths and decisions that she never imagined—and safety will never seem so far away. Heidi Heilig creates a vivid, rich world inspired by Asian cultures and French colonialism. Her characters are equally complex and nuanced, including the bipolar heroine. Told from Jetta’s first-person point-of-view, as well as chapters written as play scripts and ephemera such as telegrams and letters, For a Muse of Fire is an engrossing journey that weaves magic, simmering romance, and the deep bonds of family with the high stakes of epic adventure. From Goodreads. 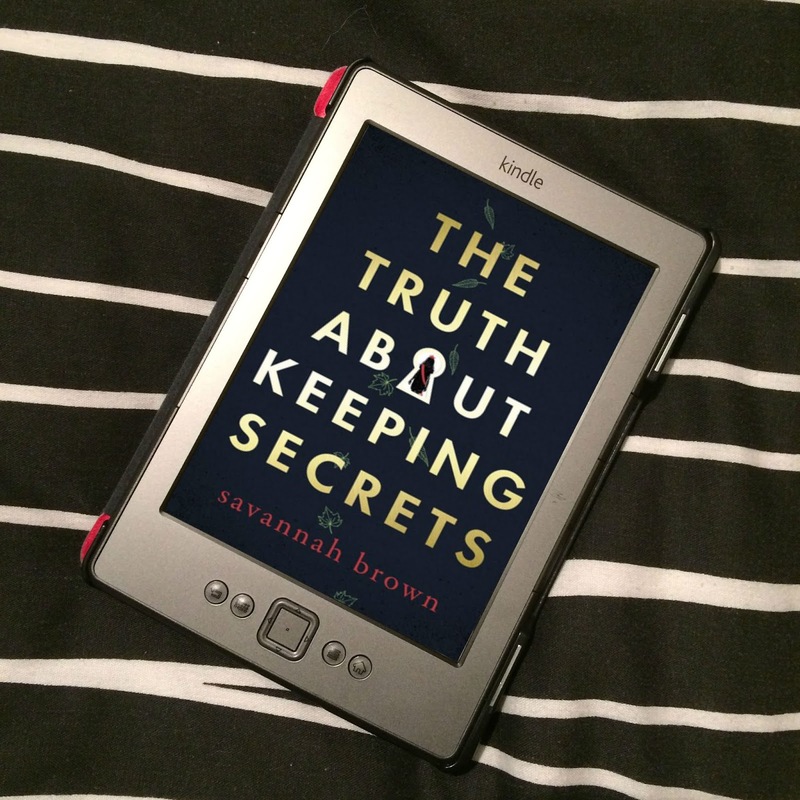 I was sent this proof for free by The Bent Agency for the purposes of providing an honest review. Trigger Warning: This book features offpage mass murder, but seeing the result of mass murder on page - the dead bodies, on page murder, off page torture, racism, suicidal ideation and discusses suicide. The Girl From Everywhere and The Ship Beyond Time are both such incredible books, so beautifully written, that their author, Heidi Heilig, flew to the top spot amongst my favourite authors, to be joint most favourite. So I have been dying to read For a Muse of Fire, the first novel in a brand new high fantasy trilogy, ever since I first heard about it. And it's absolutely incredible! Jetta is a shadow player along with her parents - Le Ros Nai, a troupe that is well known as being one of the best shadow playing troupes around. This is down to Jetta's peculiar ability. Since she almost died in a fire, she's been able to see the souls of the dead, and to bind them to her fantouches using her blood, and able to control them. But magic has been forbidden since her land was colonised, so she must do all she can to keep her ability a secret - which is difficult when she can see the souls everywhere. But her family's fame may just buy them a ticket on the royal ship to Aquitan, where they can play for the Emperor, who adores shadowplays. But it's not the the Emperor's praise they're after; it's rumoured that the Emperor has a spring that cures him of his madness, and Jetta has a madness of her own she's desperate to be rid of. But as the rebels who are fighting against the armée step up their game, Jetta and her family get caught in the middle of things. All their plans get turned on their head, and they find themselves in danger, with only the help of a smuggler to escape. Aah, I loved this book! It's exciting and completely gripping, with such awesome edge-of-your-seat suspense scenes towards the end, but also horrifying and heartbreaking. Jetta is living in a world in which her country, Chakrana, has been colonised by the Aquitans. General Julian Legarde, who is based in Chakrana with the armée, is thought of as a hero, for dispensing with Le Trépas, a monk who used dark magic and terrified the people, and magic is now forbidden. But not everyone is happy with the world they live in now, with the armée constantly breathing down their necks. There is a rebel force, led by someone only known as the Tiger, and slowly but surely, the rebels are growing from an annoyance for the armée to a dangerous band that needs to be wiped out. The book starts with Jetta and her family, Le Ros Nai, making their way to Luda, where La Fête des Ombres takes place - an event in which troupes of shadow players put on events. This year, General Legarde is judging the shadow players, and the best will be picked to join his daughter, Theodora Legarde - Le Fleur d'Aquitan (The Flower of Aquitan), and Raik Alendra, the Boy King of Chakrana for their wedding, the King's coronation, and to sail to Aquitan to put on a show for Le Rou Foi (The Mad King), the Emperor of Aquitan, who is obsessed with shadow plays. The reason Jetta and her family want to perform for the Emperor? Because it's told he has a spring that cures him of his madness, and Jetta wants to cure her own. And they are sure they will be the troupe to be picked to perform for the Emperor due to a peculiar ability Jetta has to see the souls of the dead, and to bind them with her blood to her fantouches. An ability she must never reveal. But before too long, there are explosions as the rebels attack the army encampment at Luda, and Jetta and her family get caught in the cross hairs. Laila, the water buffalo that pulls their roulotte, becomes terrified, and pulls them through the chaos as the Aquitan armée and rebels fight. There will be no La Fête des Ombres, there will be no performance, there will be no journey to Aquittan. 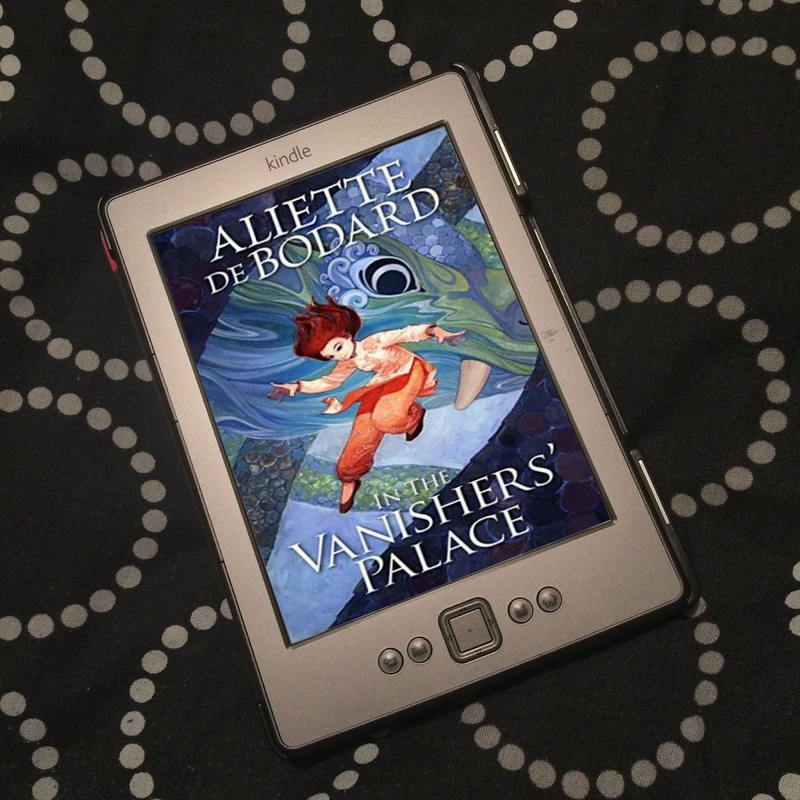 Desperate to make sure she gets on that ship, after the worse of the chaos has died down, she runs after General Legarde to show him what she can do - but her mother quickly stops her before she can show too much - but not soon enough. Capitaine Xavier Legarde - General Legarde's son - has some questions for Jetta about how her fantouches work, and it's only with the quick help of Leo, the perprieter of Le Perl, a show hall, Jetta and her family manages to escape. But still, the family are desperate to get on that boat to Aquitan, so they head for the capital, where the celebrations of The Boy King's coronation and wedding will take place, and then the story really gets going. I haven't told you anything thus far that is a spoiler; all of this happens within the first few chapters. Then, until perhaps maybe halfway, the story slows down quite a bit. At first, I was wondering when things would pick up and start happening, but this slower paced half of the story is actually really important for later down the line. This is the time when - as Jetta, her Maman and Papa, and Leo are travelling - that we really learn about the world they live in, the politics, Jetta and her abilities, and really get to know the characters. It's a little slower, sure, but it's still captivating and really interesting, and it's actually very needed. When things pick up later on, they move very, very fast, and the slower half makes it much easier to follow what's happening when things get seriously interesting. Because we know about all the characters, the people in power, the relationships between these people, and what everyone's motivations are, there's no confusion when things really step up a notch. And even though it's slower paced, it doesn't drag. For a Muse of Fire is almost 500 pages long, but it actually goes by really fast, due to all the extras. For a Muse of Fire includes flyers and posters, maps, sheet music and songs, telegrams, letters, and even some sections which are written like a script - usually parts that don't involve Jetta, from Leo, General Legarde, Capitaine Legarde, and other soldier's perspectives. So with the ephemera and the unique formatting, I found myself flying through the book, so the slower half isn't actually all that slow for long. 'Suddenly it comes back to me [...] The first time I knew there was something wrong with me. It was years ago--I was eleven, maybe twelve. Teetering there, at the edge of the broken stone, looking over the water rushing through the lava tunnel. Inching closer and closer, standing on the edge of oblivion, imagining what might come after. ...and has a depressive episode that lasts a number of weeks when she is travelling to the captial. The following quote is almost a whole chapter, missing two spoiler lines at the end, as the depressive side of Jetta's bipolar makes itself known. 'Time passes differently underground; I cannot count the days. We have stopped to eat several times, though I can't remember exactly how many, nor what we ate. Nor if I ate. But it doesn't matter that much. I am not hungry. 'I wake from a dream, but it is still dark. If it was a dream. Pride floods in; I try to summon some modesty. "It's hard with the rationing. Copper rivets are impossible to find." He puts the piece back down, out of the rain, and gives me a crooked smile. "I'll keep that in mind the next time I want something from you." But Leo has outside experience of mental illness himself - his mother died by suicide. I really liked Leo, to be fair. The romance is a slow burn, and is quite cute, and Leo himself is quite a complex person. He is biracial, half-Chakran and half Aquitan, and this is a big deal. Relationships between Chakrans and Aquitans aren't forbidden, but they are frowned upon, and as the child of such a relationship, he is subjected to racism. He is called "moitié", which in Jetta's world means "mixed", and it's a terrible racist slur, and he is viewed with disgust. It's awful to read, even more so as Leo's father, an Aquitan, wants nothing to do with him. It's just disgusting. But Leo is, unfortunately, used to it, and is able to deal with it, and is just such a great guy who is funny, rogue-ish and just really awesome. I loved him! I loved most of the Chakran characters in For a Muse of Fire, they're all just brilliant, and fully developed, complete people. But there are the characters who are just completely abhorent. General and Capitaine Legarde, oh my god. And pther soldiers in the armée. The results of colonialism are just horrific, and part of me thinks that most Chakran's either don't realise quite as bad as it is, or are pretending everything is fine to keep their heads on their necks, because General Legarde is seen as a hero for getting rid of Le Trépas. But what's actually happening in Charkrana is appalling. [...] "He joined the armée, three years back. During the famine seasone, do you remember?" It's just one example of how little regard the Chakran people are given - but that's not surprising when the Aquitans have forced their way in with violence and taken over control of land and people not their own. They have absolutely no respect for the Chakrans, their culture, or their beliefs. 'I have never abandoned hope, but at times, hope abandons me. For a Muse of Fire is wonderfully diverse. As the description says above, this is a high fantasy inspired by Asian cultures and French colonialism. The Aquitans, the colonisers, are white, and the Chakrans, the people who have been colonised, are people of colour. 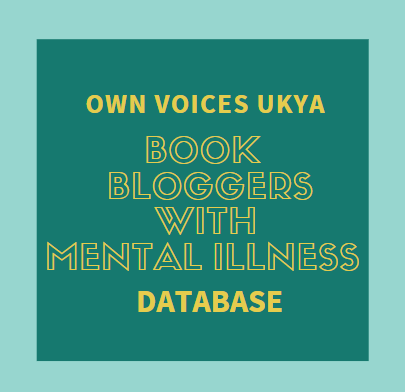 And Jetta has bipolar (as we know) and is pansexual - another way For a Muse of Fire is #OwnVoices - although neither word are used in the book; and although the love interest is a cis male, it's quite clear that Jetta is attracted to other genders, too. There's a secondary character who is a trans woman, Tia, who works in Le Perl, and Theodora, Legarde's daughter, is fat, and considered to be possibly the most beautiful woman in the world. 'The path was straight but I have strayed. I can't turn back, I wish I'd stayed. The mountains climbed, the oceans crossed . . . The emphasis in bold is mine, another line that just really spoke to me, of how I felt when I was first diagnosed with a mental illness, how I felt, and getting better seemed like it was something so far off. 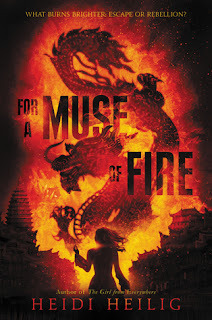 For a Muse of Fire is absolutely incredible, and the cliffhanger the story ended with... my god, I can't wait for the sequel! Gripping and exciting, heartbreaking and horrifying - if you're a fan of high fantasy, For a Muse of Fire is not one to miss. *Quotes are taken from a proof, and I've not yet been able to check them against a finished copy, so they may not be correct. Thank you to The Bent Agency for the proof.